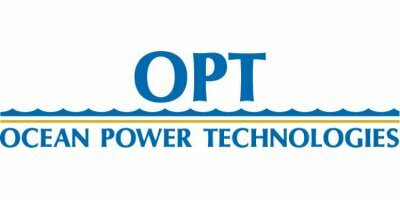 Ocean Power Technologies (OPT) is a leading renewable energy company specializing in cost-effective, advanced, and environmentally sound offshore wave power technology. The electrical power generated by OPT`s technology is key to meeting the energy needs of utilities, independent power producers and the public sector. The Earth’s oceans are a vast source of natural resources and are crucial from economic and security vantage points. Ocean Power Technologies (Nasdaq:OPTT) is a pioneer in renewable wave-energy technology that converts ocean wave energy into electricity. OPT's proprietary PowerBuoy® technology is based on a modular design and has undergone and continues to undergo periodic full-scale ocean performance validation. OPT specializes in advanced autonomous (not grid connected), cost-effective, and environmentally sound ocean wave based power generation and management technology. The PowerBuoy system integrates patented technologies in hydrodynamics, electronics, energy conversion, and computer control systems to extract the natural energy in ocean waves. The result is a leading edge, ocean-tested, proprietary autonomous system that turns wave power into reliable, clean, and environmentally beneficial electricity for offshore applications. Wave power is abundant in all areas of the world and its harnessing offers a dependable clean source of renewable and cost effective energy. OPT’s PowerBuoy converts such energy to provide persistent and reliable power generation for marine applications. Current solutions for applications that require persistent, long-term operation and/or require significant power, such as batteries, solar, micro-wind and diesel, are limited and costly. The PowerBuoy with its expandable, onboard battery system (Energy Storage System) can act as an offshore Uninterruptible Power Supply (UPS). Reduced operational costs (OPEX) by eliminating frequent maintenance visits to service traditional energy sources. Real time data with enhanced density enabled by the availability of increased electrical power: Allows more effective operational decisions for improved assets utilization. Greater availability of reliable power: Enables the introduction of new technical solutions and enhanced capability. Proactive control and fault analysis of equipment through real time remote desktop user control and monitoring. Transforming the world through innovative ocean-energy solutions. We will deliver durable, reliable, cost-effective ocean-energy solutions that enable new capabilities for our customers and partners, value to our shareholders, inspire our employees, and enhance the environment. Everyone at OPT has the power to influence our company’s reputation. Never allow anything or anyone to compromise our commitment to integrity, and always conduct ourselves ethically. Recognize that just because something is legal, it does not mean that it is the right thing to do. Safety is first in our workplace. Demand a safe work environment before anything else. Embrace safety as a personal responsibility, and always look out for fellow colleagues. Be proud of where we work, and seek to continuously improve it. Customers are the single most important stakeholders in our business. Be responsive, results-oriented, and accountable. Demonstrate a fanatical focus on delivering on commitments and continue to honor our customers. Be infectious with curiosity, and contagious with desire to continuously learn and improve. Have impact every day. Find new ways to share our expertise. Communicate clearly and frequently. Do what needs to be done, and hold each other accountable for execution and results. Never say 'it cannot be done“. Instead, use our collective innovation to find a path to success. Teamwork denotes a responsibility and a commitment to something larger than one’s self. Value inclusiveness and open collaboration as the means to achieve our goals. Be transparent with our knowledge and expertise, and be brutally honest with the highest level of respect. Recognize the need for work/life balance. Inspire trust within our team which promotes continuous learning and improvement. Overcome our fear of failure through optimism and perseverance. Exercise versatility, flexibility, and clear thinking in the wake of uncertainty. Be adaptable. Demonstrate courage in every challenge and in every decision.